A black print fabric with vibrant red poinsettias and holly with a red and green stripe design and gold detailing. Ideal fabric for a table runner. Also available in Black. Search ‘Poinsettia’. 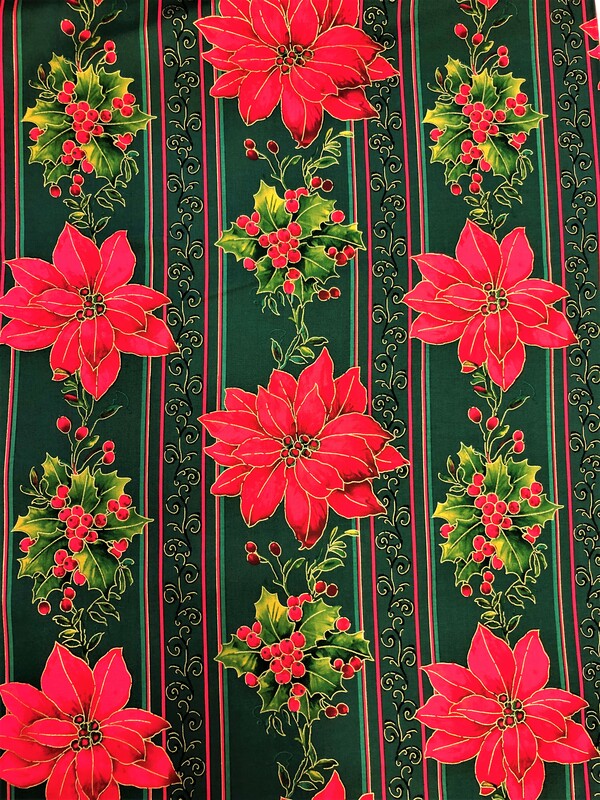 A green print fabric with vibrant red poinsettias and holly with a red and green stripe design and gold detailing. Ideal fabric for a table runner. Also available in Black. Search ‘Poinsettia’.